What stories do you keep telling yourself that no longer serve you? This type of clutter not only wastes precious mental space but keeps you dangerously locked into old patterns holding back real joy from being experienced. What stories do you grasp on to? Do you constantly talk about a person or people from your past who have wronged you, giving you the excuse of why you haven’t succeeded? Or are you constantly talking about who you will “be” in the future? Do you state how all of your life you’ve been shy, clumsy, guarded, controlling, (fill in the blank) and that is just how it is? Well, what if this were not true? What if you could let go of this nonsense no matter how “real” it seems to you? What if and play along with me here, but just what if, all the stories you tell are fiction? 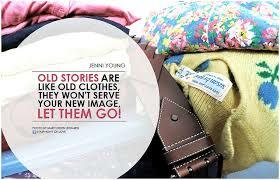 This week it’s time to let go of the old worn out stories you tell about yourself and your life. Pay attention to what keeps popping up in you mind and the words you speak to others. 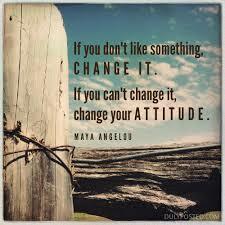 Get tuned in and then, and I realize this may seem a bit to easy, but then…let go! Stop talking about it. Stop thinking about. And most of all, stop getting attention from it. Just stop.